The holidays are creeping up on us. 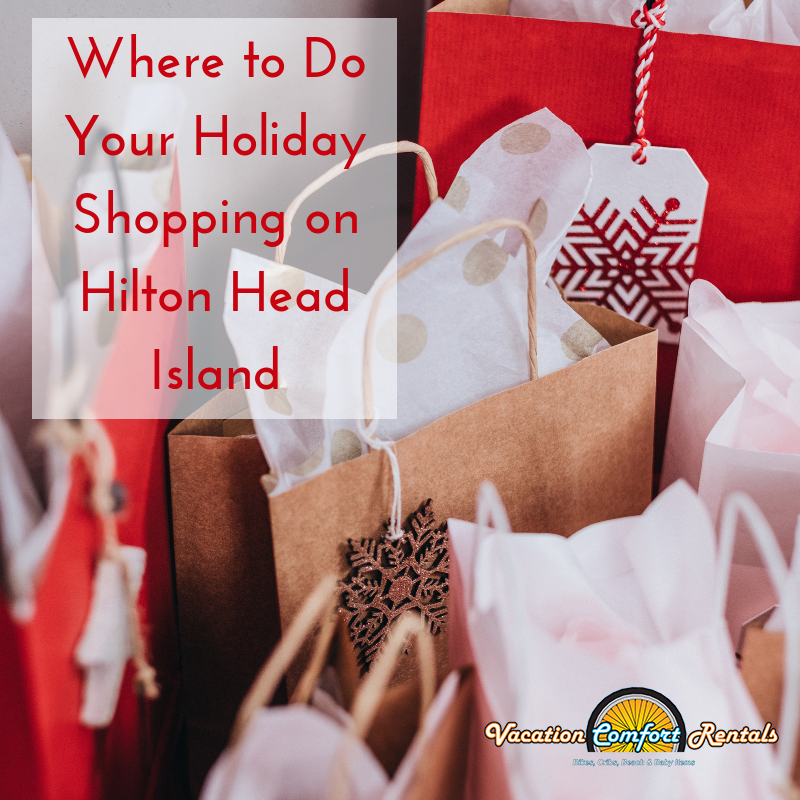 If you are new the Hilton Head area, or if you expect to be vacationing with us over the holidays, you may need a little help finding those perfect gifts for your loved ones. Or, you might just love to hit the town shopping during this festive season. Either way, we’re here to help you out. Take a look at a few great retail stores to spend your… time. Here’s boutique full of unique treasures that she will find just right. Whether you are looking at clothing or home furnishings, everything you see in the collection is carefully curated by Ann Marie. Aiden Lane is a boutique where you might be finding something for yourself as well as your sister. This store is as much about the experience as it is its clothing. So come prepared to enjoy yourself! Heritage is the Lowcountry jeweler of choice, standing above the others in quality and service. Find something here that is unique as well as affordable. Looking for a gift for the someone with very particular taste buds? At Hilton Head Distillery, you’ll find premium-crafted small batch rum and vodka. It’s something you’re going to want to try yourself, too, so take the tour and experience spirits crafted to the highest standards possible. If rum and vodka are less your loved one’s style than a fine wine, you will want to head to Rollers. As the Island’s winery experts and Court of Sommelier certified, Roller’s is your source for specialty wines. Formerly, Legends Sports Gallery, this is the place you want to visit for the sports lover in your life. Here you will find vintage sports products, framed art, fancy foods, and much more. This is the stop you must make to shop for the coffee lover in your life. Not only will you find custom labeled and roasted beans and other gifts in the retail end of their roastery, you have the opportunity to take advantage of a coffee subscription. Shop the elegant stores at The Village after some morning pampering at the spa, and finish with an evening of jazz, dancing, and fine dining. A day at the Village at Wexford is a complete experience. You’ve given up? No matter who you have left to shop for on your list, you will find something for them at Tanger. Here, you will find the best deals at your favorite designer and brand-name stores. Sometimes the best gift is just time spent together. You may want to consider renting bicycles and cruising the island as a family. Imagine the memories you’ll make! As you can see, a day of shopping in Hilton Head is a more rewarding experience than you’ll find anywhere else. On the island, we care as much about the shopper as the gift recipient. So extend your stay, and enjoy the holiday with us.